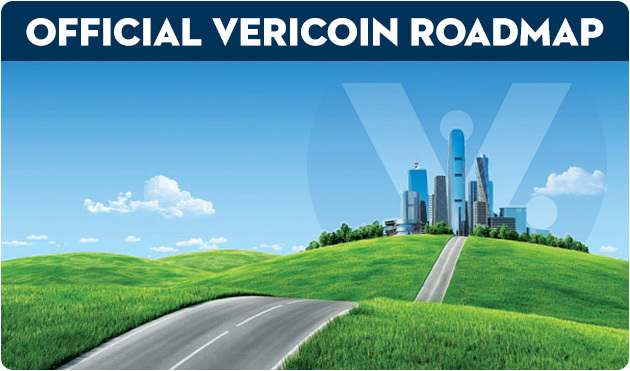 This VeriCoin Roadmap illustrates the projects that are currently being worked on by the VRC developers and can be used to track the progress of each project. Brief project descriptions are provided by the developers to give the VeriCoin community a better understanding of where the coin is headed. *Features implemented via the Community are designated as "CFR" - Community Feature Request. Paper on Verium protocol and VeriCoin pairing. VeriCoin will be submitting an addendum to our original Proof-of-Stake-Time white paper published on May 10th, 2015. We will be adding more details and math to support our claims. This will be submitted to a Blockchain/Cryptography based peer reviewed journal. Allows users the ability to attach notes to their transactions in order to keep account/receipts for future reference. *Both comments and TX ID's will be searchable with new column. A private and decentralized username implementation for ease of use, without the loss of security. A new, fully decentralized, privacy technology based on stealth addresses. Update to complement technology and brand going forward. Not your average 2FA. :whistle: This is a Community Feature Request. One of VeriCoin's core contributions to the SuperNET will be a completely DeCentralized version of VeriBit which will "attach" the ability to spend ANY coin within SuperNET wherever Bitcoin is accepted. A technical whitepaper providing details on the upcoming Decentralized Anon and Decentralized Username features. Decentralization - Remove Sync-Checkpointing and Supernodes from source code and network. The next generation of the Proof-of-Stake protocol. This enhanced PoS method (PoST) will make stake distribution more fair, vastly increase network security and allow VeriCoin to remove Sync Checkpointing entirely. Updated BIP32 encrypted Wallet with VeriBit and ShapeShift built in. Users who encrypt and stake their wallets are now required to enter their password as a security precaution. This was a Community Feature Request. A method of downloading / synchronizing the blockchain that can reduce the time from several hours to just a few minutes. A feature that allows the wallet to notify the user when a new version is available and optionally download and install that new version. Options toggle in the wallet to disable or enable the display of decimals in the VRC amounts. This was a Community Feature Request. A scrolling ticker in the wallet that displays the latest official VeriCoin news to notify users about upcoming features, pending updates, or problems. *Added option to disable. This was a Community Feature Request. Simple, clean lines, consistent branding and user friendly interface. A new, sleek, easy to navigate site crafted by a professional designer. An Android version of the VeriCoin wallet which includes VeriBit and a QR code reader. Pay for anything with VeriCoin anywhere that Bitcoin is accepted, right from the VeriCoin wallet! An optional coin mixing service for full transaction privacy in the wallet. A service that allows VeriCoin to be sent to/from nearly any cell phone in the world using SMS (text messaging).